Our Estate department is specifically equipped to handle the packing and transport of estates furnished with fine art and antiques. We understand the unique needs of auction house clients. The size and scope of U.S.Art’s company owned domestic network enables us to handle the move of an entire estate within days. Our expertise in Estate logistics means that we can bring together an extensive team with minimal notice and utilize our company fleet of vehicles to execute the move to the highest standards. 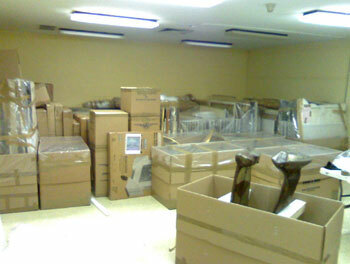 Once packed and crated the estate or pieces of the estate are transported to the nearest international port. Our International staff has over 60 years’ experience with the handling and transport of international fine art. We understand the additional discretion and consideration necessary when the move is taking place in a currently occupied residence. Recognizing that cost and timing are of paramount importance to auction houses, our staff is specifically equipped to handle your specialized international shipping needs.